BIRMINGHAM, Ala. (AP) — Four activists from one of Alabama’s poorest communities asked a federal judge Thursday to dismiss a $30 million slander suit filed by Georgia companies that claim they were maligned by complaints about a landfill that accepted tons of coal ash from a Tennessee Valley Authority spill. The American Civil Liberties Union filed court documents saying the four Perry County residents — Esther Calhoun, Benjamin Eaton, Ellis B. Long and Mary B. Schaeffer — were only exercising their First Amendment rights in protesting Arrowhead Landfill at Uniontown. The four argued that some claims cited by Canton, Georgia-based landfill operator Green Group Holdings and a subsidiary, Howling Coyote LLC, concern nothing more than posts on a Facebook page. They also argued that no one has knowingly made false claims about the landfill’s safety. The companies filed suit in federal court in Mobile in April claiming they were being slandered by false allegations and protests over 4 million tons of coal ash waste shipped from Tennessee. The activists compared the lawsuit to one filed against the National Association for the Advancement of Colored People by white-owned businesses seeking to end a civil rights boycott that began in Mississippi in 1966. “Unfortunately, this is far from the first time that a for-profit corporation has sued black citizens for having the temerity to organize against businesses that they believe perpetuate racial injustice,” the four argued. “Just as there is no First Amendment protection for falsely screaming fire in a crowded theater, there is no protection for falsely accusing persons of wrongdoing under the circumstances we believe exist in this case,” Smith said in a statement. 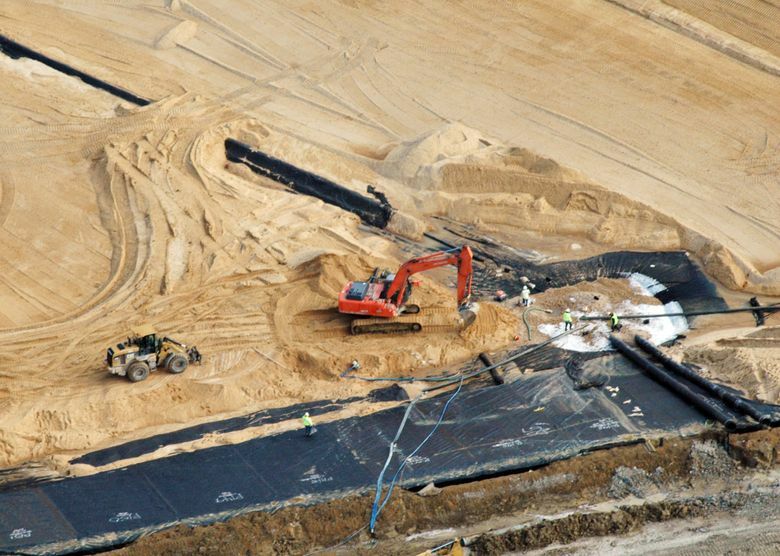 For years, the companies have defended the landfill as a safe location to dispose of wastes including coal ash that polluted two rivers and hundreds of acres of land when a dike failed at TVA’s Kingston Fossil Plant in 2008. Activists contend coal ash shipments and pollution from the landfill have harmed surrounding Perry County, where unemployment is typically high. The county was in the heart of the cotton belt in the antebellum South, and nearly 70 percent of its 10,500 residents are black. Opponents have blamed the landfill for environmental contamination for years and have compared the landfill operators to slave owners, claiming the operation is desecrating a cemetery that dates from the 1800s. 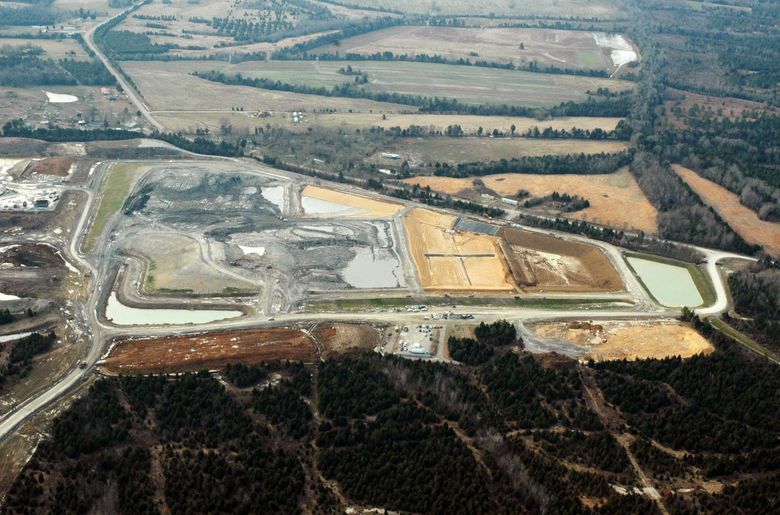 The companies contend the landfill is safe and approved by the Environmental Protection Agency, and they dismiss claims that coal ash shipped on trains to Perry County contaminated the area. In March, the owners agreed to donate land and help protect the old cemetery, which borders the landfill. The lawsuit contends a group called Black Belt Citizens Fighting for Health and Justice has spread misinformation and untruths including claims that the landfill is polluting water in the area. The group’s website lists Calhoun as president; Eaton as vice president; Long as secretary and Schaeffer as treasurer.